The Johns Hopkins Scleroderma Center is dedicated to helping patients living with Scleroderma manage their disease and symptoms. We’re also focused on research initiatives that will help us get closer to a cure. 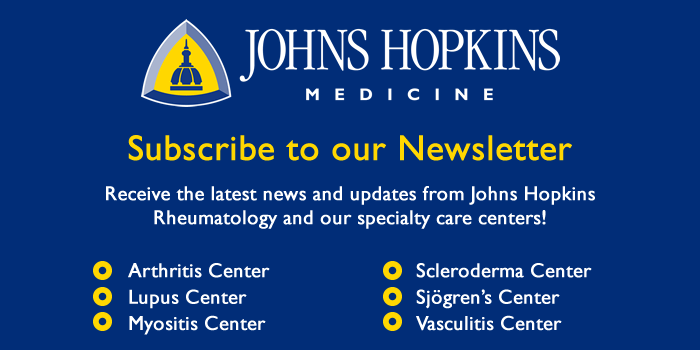 How to refer your patient to the Johns Hopkins Scleroderma Center. A list of online resources for Physicians about Scleroderma.